In a public city park in Richmond, Virginia, on the grounds of a great American estate, the Maymont Nature Center’s exhibits and educational programs introduce area residents to the wonders of the natural world in their own backyard. Aquarium tanks, a river otter habitat, and diverse science center-style exhibits housed in a stunning purpose-built modern building focus on the history and ecology of the mighty James River, which transects the entire state. But after almost two decades in operation the Nature Center’s public offerings are badly in need of a refresh and upgrade. 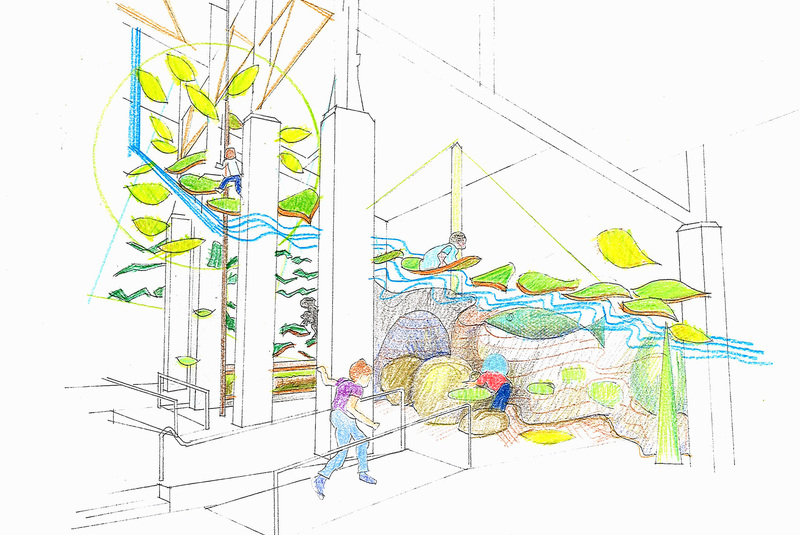 Following up on a concept development and design effort completed in 2015, Main Street is leading a multidisciplinary team that includes industry leader Richard Lewis Media Group and Luckey LLC, creators of the unique functional sculpture “Luckey climbers,” on an exciting initiative to dramatically transform and update the Nature Center guest experience, combining natural history interpretation, immersive environments, live animal exhibits, and active adventure play.